Designated a New Town in 1949 to accommodate the London population overspill, the borough has since grown to support a population of 175,000 across its 3 main towns. At some 42.5 square miles in size, it is also one of the largest in the country. Only 35 minutes from central London and conveniently situated between the airports of London City, London Stansted and London Southend; the borough’s location is a key to its success. 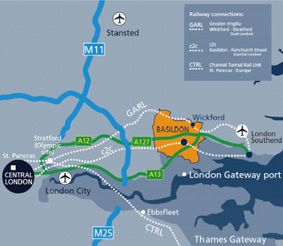 Add to that the excellent road and rail infrastructure and its close proximity to the nation’s newest deep sea port at London Gateway, and you will agree that Basildon is an ideal location to live and do business. Despite Basildon’s history being a recent one, the Council has undertaken an ambitious project to not only regenerate Basildon Town Centre but also make improvements to its centres in Laindon, Pitsea and Wickford, to ensure they continue to be vibrant and modern places to live and work. 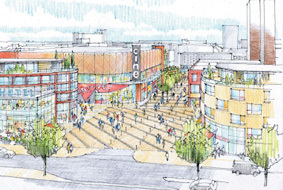 its development partner Barratt Wilson Bowden (BWB), will regenerate Basildon town centre with up to 2,000 new homes, a town centre college for up to 2,000 students, a new cinema and new shops, offices and public squares to ensure that Basildon presents a modern face for modern times. 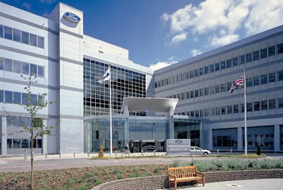 Basildon’s economy is the 2nd largest in the Thames Gateway outside of Canary Wharf and is a hub for advanced engineering and manufacturing firms and home to notable names such as Ford Motor Company, New Holland Agriculture and Selex ES. Supporting over 6,500 businesses, the local economy also provides employment to over 77,600 people. Basildon’s strengths in the engineering and manufacturing sectors have enabled firms to diversify into new sectors. Particular sectors of focus include the Green Technology and Renewables sectors which is set to create new opportunities for local businesses in their supply chain both regionally and internationally. Whilst a good location with excellent transport links is a great foundation for doing business, Basildon Council recognises the need to proactively engage with the local business community to ensure it has the support it needs to thrive in this fast changing economic environment. 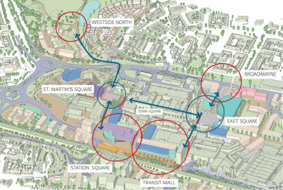 The council’s Economic Development Team is dedicated to supporting businesses already located here, as well as those thinking of locating within the borough in the following ways. • Procurement Events – Connecting local buyers and sellers of goods and services to stimulate trade. 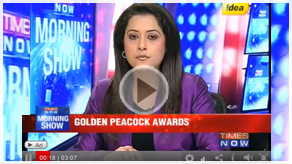 Challenges in the world economy have had numerous impacts on both the public and private sectors. Despite this, Basildon Council has explored how it can improve its service offering to both its residents and businesses. 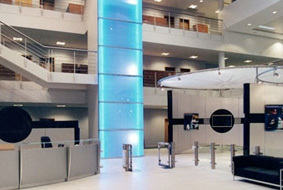 As part of this work, Basildon Council has engaged with PA Consulting to realign its service delivery. This work resulted in the rolling out of a Customer Experience Programme, designed to standardise the authority’s customer contact, re-engineering service provision across various departments in the council in order to create efficiency and reduce costs.